It’s old fashioned… It’s authentic. 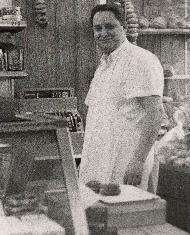 A real New York style delicatessen, serving the Westport community for 60 years! 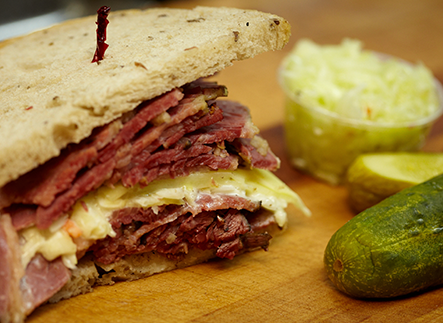 Real sour pickles, hot pastrami and corned beef, the kind you can only get in a real Jewish deli. 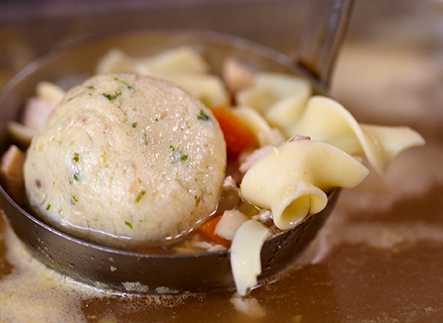 Our famous homemade matzo ball soup is always simmering on the stove. The smell of fresh brisket and turkeys roasting in the oven is ALWAYS a temptation! Stop by for breakfast or lunch (We’re open 7 days a week, from 8AM – 6PM, except Sundays, we close at 4PM) and enjoy the hustle and bustle of a busy lunch crowd, which always includes the regulars. (Yes, you often have to wait for a table!) You can count on a crowd at the counter waiting for the freshest Novie to be hand-sliced, or choosing the plumpest Whitefish. Few can resist our succulent fresh roasted turkey. Fortunately, there are usually some friends and neighbors to “catch up” with while you wait. 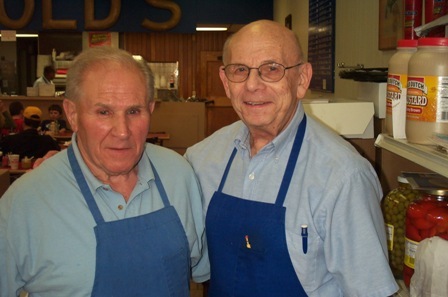 After all, Gold’s has been at the same location since 1958, and most of our customers have been loyal patrons for years. Some are even 3rd generation customers! Pictured Above: Julius Gold 196? The salad case is filled with freshly made “deli classics”, as well as daily specials. Our tuna salad, chicken salad, turkey salad, shrimp salad are all made fresh daily, just to name a few. Our chopped chicken liver is simply the best. We carry a full line of Hebrew National meats. We roast fresh Empire turkeys every day, as well as juicy rare Roast Beef, Brisket, Corned Beef and Pastrami. Our Novie is from Norway, and it is simply the best. 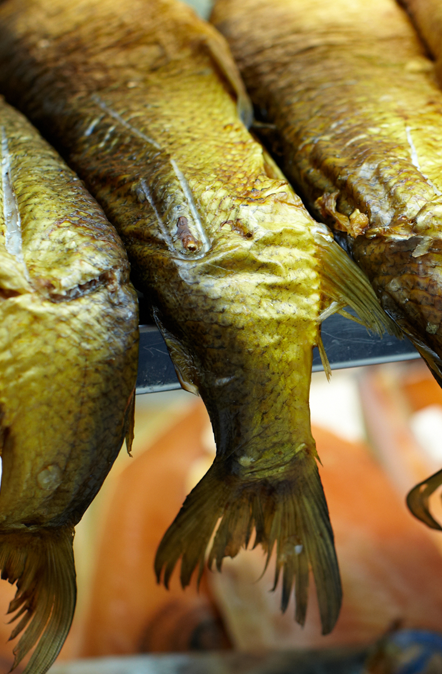 We stock a full array of smoked fish, including Sturgeon, Sable, Belly Lox, Chubs and Whitefish. We also carry delicacies such as Kippered Salmon, Pickled Salmon, Pickled Herring and more. Let’s savor the pastries for a moment… Erica’s Rugelach (from Brooklyn), Babka (Green’s Bakery), Black & Whites, Sarah Bernhart’s, Brownies, Blondies, Hungarian Pockets, and a wide variety of pastries made locally.